Christ Church Choir has been affiliated to the Royal School of Church Music since May 1937. We practise on Thursday evenings during term time. The Choir supports most of the sung services at Christ Church . We sing a variety of different music from very traditional favourites to more modern settings. The Choir uses every opportunity to increase it’s repertoire by attending Deanery and Diocesan events where new music is always waiting to be learned. 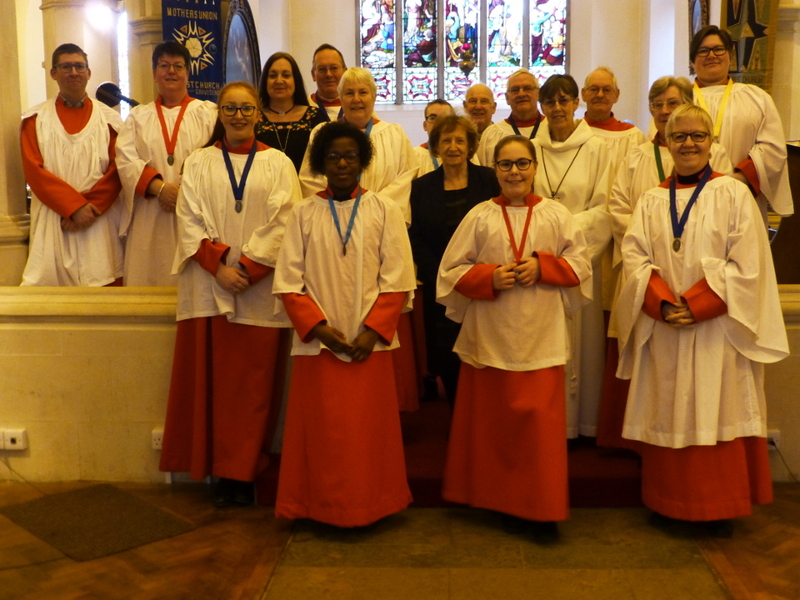 Some Choir members have attended Royal School of Church Music Training Days during the last year and will take advantage of any similar events in the coming year. We regularly sing at weddings - often singing solo’s by request. We also sing at funerals when asked to do so by the bereaved family. Our aim is to enhance the worship at Christ Church with good quality singing and to be versatile and able to respond to any musical requests that are asked of us.